made during the reform era often became ignored or repealed. With a few exceptions, during the 30 to 40 year ebb of the cycle, the memory of the movement disappeared from public awareness. The desire for improved health and social conditions also led to campaigns in favor of exercise, semi-vegetarian diets, women's rights, chastity, and eugenics. 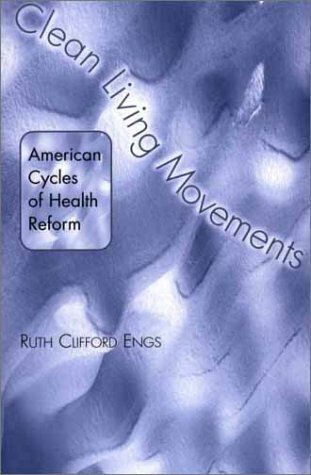 Engs describes the interweaving of temperance, women's rights, or religion with most health issues. Factions of established faiths emerged to fight perceived immorality, while alternative religions formed and adopted health reform as dogma. In the reform phase of each cycle, a new infectious disease threatened the population. Some alternative medical practices became popular that later were incorporated into orthodox medicine and public health. Ironically, over each succeeding movement, reformers became more likely to represent grass roots beliefs, or even to be state or federal officials, rather than independent activists.